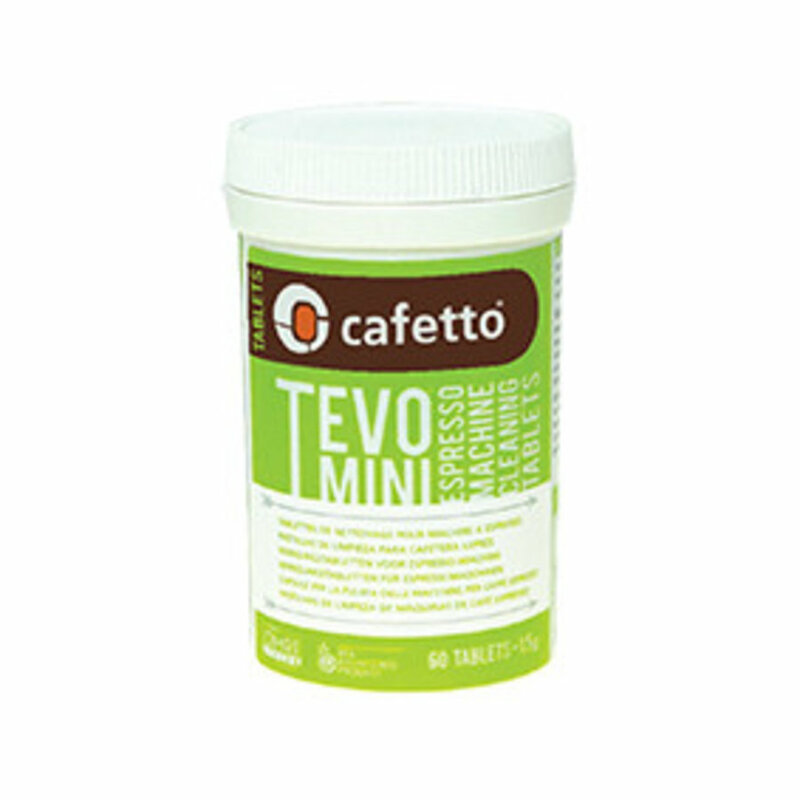 Cafetto Tevo is the first espresso machine cleaning tablet to be certified by an organic certification body. 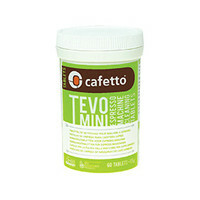 It is safe, high performance cleaner for professional espresso machines using organic coffee. Add one tevo maxi Tablet into the group handle & insert as if brewing espresso. Remove the group handle, rinse well the blind filler with water from delivery group. Brew & discard a double espresso to re-season machine. Dissolve 2 Cleaning Tablets in 500ml of hot water from the machine’s boiler. Soak group handles & filters for 10 minutes. Rinse thoroughly in running hot water.